PFF had a good article on "Pulse rate" a few weeks back. Rb's yards per carry once breakaway runs were removed from the conversation. Trying to show which backs consistently produce good yards with every carry. Excited about him for next season. I scooped him up off the wire in Dec in a keeper fantasy league....now I can keep him for practically nothing! Miller also has the smallest sample size of anyone on that list. Plus over half the people on that list (including Miller) had less than 100 carries last season. If he produces at the same rate with 150-200 carries, I will be thrilled, but I think its unlikely. Looking at that list, would anyone here feel comfortable if Marcel Reece were our #1 guy next year? Or how about Andre Brown? Or Joique Bell? All made the list. All had small sample sizes. Don't get me wrong, I am thrilled Miller is on the Dolphins. I am thrilled he is expected to see the ball more next season. I like him a lot. I just can't imagine counting on him to be the guy without bringing in a serious challenger or someone to split carries with him. Especially in today's NFL where two back systems are the standard. I just can't imagine counting on him to be the guy without bringing in a serious challenger or someone to split carries with him. Especially in today's NFL where two back systems are the standard. This is precisely why I want us to draft another RB. If Miler is good, I don't want us running him 25 times a game. And if he struggles, we need to have someone else to create competition at RB. Daniel Thomas says "remember me?" I'm 100% okay with not resigning Bush. I'd only sign him for around $4 million a year. We also have what 9 draft picks? Take a RB. Or, use Thigpen more. "Who" at RB is not nearly as important as fixing this offensive line. I love reggie bush, but if we improve our line to where it should be, there's no reason to overspend on his position. In my ideal world he'd take a reasonable deal and stay. 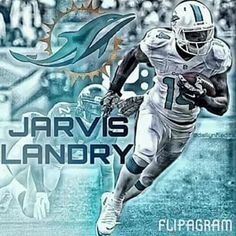 Smoke Screen or we going to see Lamar as the featured back in South Beach? Ireland has also said he is excited about Egnew next year and that john jerry is a arrow up guy and that Josh Kaddu is the guy who excites him the most. I love bush but being a hurricane fan I do know what miller is capable of and like him just better get someone to compliment him besides thomas if bush goes or I will be nervous. I am all for Miller as the full time back with Thomas as the Thunder to his Lightning. Yes he is young, but he had a great college career and he is basically Reggie Bush only younger and less wear on the tires. I agree with cddolphin that if we fix the O-Line that Miller would be a perfect back for that style of running. Definitely possible, but where is the quote where he says that? All it says there is that Ireland commented that he played well. Sounds to me like someone was trying to find some news when there really wasn't any. I see no reason why Lamar couldnt carry the load. Have you guys watched him while he was at UM? The guys is legit, a big play waiting to happen and he doesn't go down easily even though I wouldn't consider him a bruiser. Think Clinton Portis with more speed n strength. I think part of the reason they didnt play him as much was to give him a full year to strengthen the shoulder but that was his ONLY injury in college. If Willis McGahee can have a productive career after tearing his ACL twice I dont really see the shoulder slowing down Lamar. All he needs is experience as a blocker because like most lead backs in College he wasn't asked to block so he's not a great blocker but with the ball in his hands he's electric! Clinton Portis is a good comparison. As far as faster than Portis? I don't know about that. Portis was fast when he first got into the league. I see Miller as a one cut, and get up field runner. Really reminds me of Portis. I'm with both of you guys on this one. I like Lamar as the #1 back but at the same time Ireland would be foolish if he didn't bring a good #2 back to help carry the load. Of course this is Ireland we are talking about. As far as faster than Portis? I don't know about that. You might be right. I have no definitive proof he is faster I just know what my eyes tell me he looks faster coming through the LS and once he breaks a run and is at the third level I have never seen anyone gain on him let alone catch him from behind. Portis although plenty fast he like to dance from time to time maybe that's the difference I see. Lamar Miller ran a 4.4 40-yard dash at his NFL Combine. NFL Draft Scout shows that Clinton Portis clocked in at 4.42. I agree it is a good comparison. Miller doesn't seem to dance as much as Portis did. Miller is a one cut runner and get up the field. Starting to look like the Backfield will be Miller unless Ireland is bringing someone else to replace Bush, No Bush Miller should be the guy to beat out in training camp, and our current roster dont see it happening.